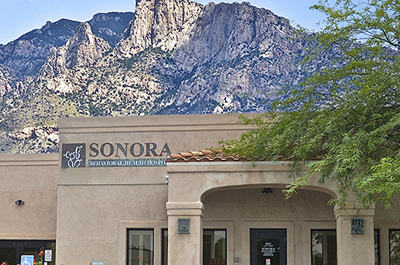 Sonora Behavioral Health, located in Tucson, Arizona, offers outpatient services for individuals who do not require the intense nature of inpatient treatment, but who could benefit from comprehensive care as they work toward overcoming mental, behavioral, or substance abuse concerns. Located in the Desert Life Medical Plaza, Sonora Behavioral Health's outpatient services are available to men and women over the age of 18 who are suffering from such depression, anxiety, PTSD, adjustment disorder, and other mental health concerns. Additionally, individuals who are working toward maintaining their sobriety after overcoming an addiction to alcohol or other drugs can receive all-inclusive services at Sonora Behavioral Health's outpatient location. Individuals may choose to participate in partial hospitalization programming (PHP) or intensive outpatient programming (IOP). PHP is the most intensive level of outpatient care, offering treatment for six hours per day, four days per week. Treatment in IOP occurs in a group therapy setting and takes place between nine and 12 hours per week, typically spanning the course of eight to 12 weeks. Sonora provides two IOP tracks: a chemical dependence intensive outpatient program (CDIOP) and a mental health intensive outpatient program (MHIOP). Opportunities to step-down into lower levels of care or to step-up into a higher level of care are also available as needed. All of the treatment provided through Sonora's outpatient services are tailored to meet each individual's unique needs so that each person's specific concerns are addressed treatment goals are reached.